Nathalie Loye is a professor specialized in testing and assessment at Université de Montréal, an appointment she has held since 2008. A member of GRIÉMÉtic since 2008, she became head of the organization in 2017 and built a new team around her. 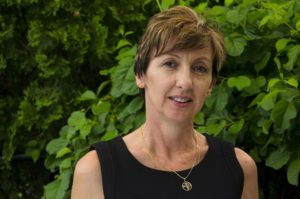 Her work focuses on diagnostic assessment, and addresses among other issues the conditions making diagnostic assessment possible, as well as the psychometric models used for analyzing the data produced by diagnostic tests. She is broadly interested in testing models, such as diagnostic classification models (DCMs), the Rasch model and the various models derived from item response theory (IRT). Validity is one of her primary concerns, ranging from definitional issues to implementing validation processes. Her preferred application fields are those of education and health science training. She has a wide expertise in research methodology, including joint research protocols.